Every so often one runs across something in Delhi that is almost too good to be true. 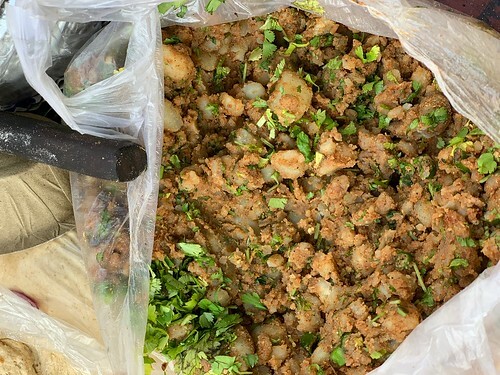 But the spiced potato mix served at this pavement stall clearly wins the day. 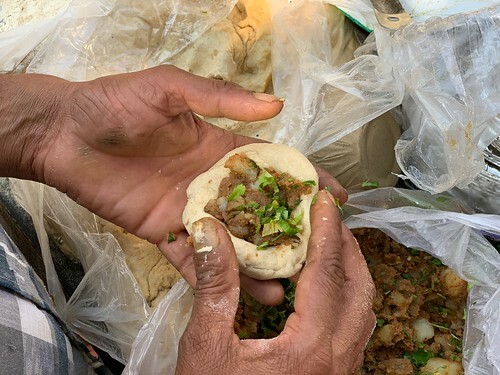 It’s just the right kind of filling for a perfect samosa—the old-fashioned kind that used to be served by hawkers right inside the dark auditoriums of the single-screen movie theaters. 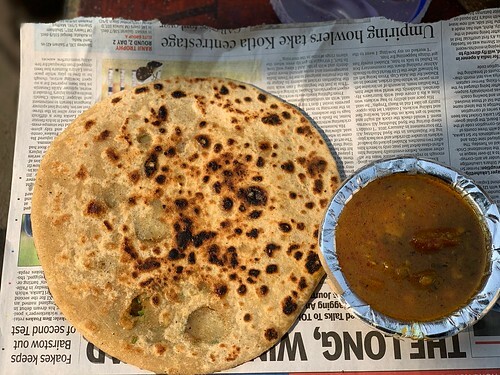 But Kanta Prasad chooses to makes aloo parathas out of this delicious potato mash. 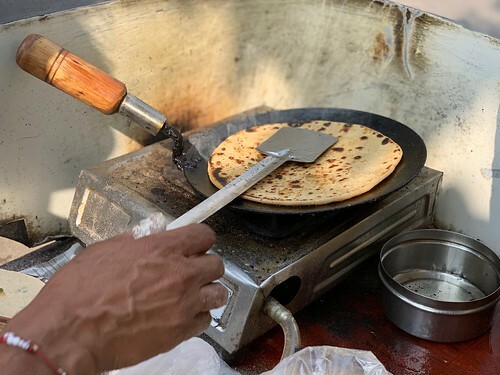 The man’s one-table stall in the business district of Barakhamba puts to rest all the myths about those famed parathas at Moolchand’s midnight eats. 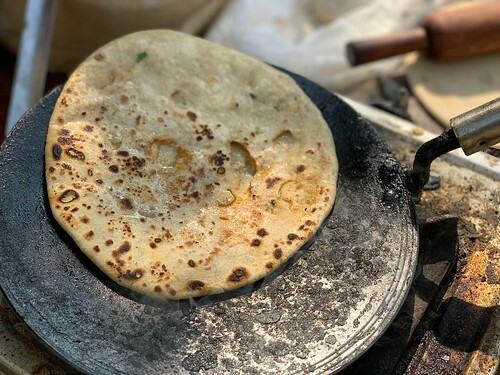 His don’t taste mass produced at all; and convey a homey flavour that might remind you of parathas rendered by an elderly aunt long dead. “I started up four years ago,” says Mr Prasad as a crowd gathers around him. 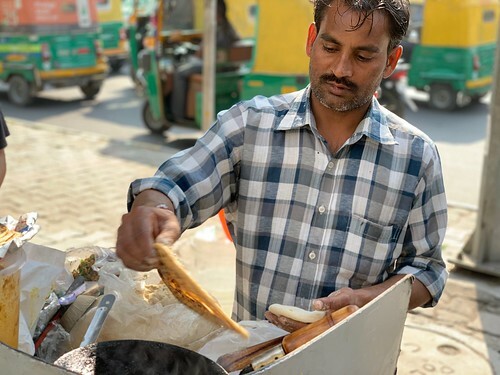 Hailing from Allahabad, he was earlier selling fruits in Surat, Gujarat, where some friends suggested he simply move to Delhi and do parathas, which he serves with a delicious chickpea curry. No guidebook will suggest turning up at this stall. It’s so new compared to those typical stalls usually recommended by the travel writers. 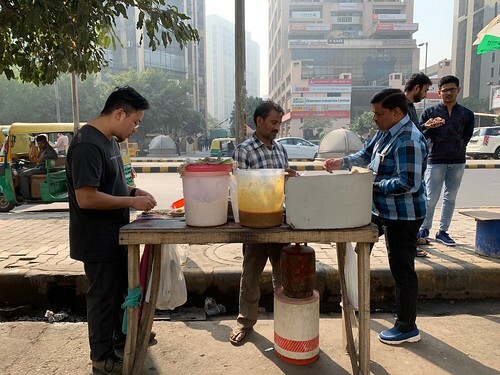 The eatery testifies to a known fact: that the well-known culinary excellence of Delhi street food is simply moving from strength to strength. Mr Prasad holds forth daily from 10 am to 3 pm. Closed on Sundays.